Each year I can see the shift in publishing communication. This shift arrives right about Thanksgiving and carries through New Year's Day. Emails and submissions do not get answered and it is like your communication with editors and agents comes to a screeching halt. Why does this happen and what can you as a writer do about it? For a few minutes, I want to help you with this topic. Admittedly a lot of publishing is slow to communicate. From my experience, it often takes weeks to hear from an editor or agent. This process is even slower during the holidays. Instead of processing submissions, these publishing professionals are focused on holiday shopping, spending time with family and other events. As an acquisitions editor at Morgan James Publishing, I'm still processing manuscripts with authors and contracts. While our publication board meets weekly (instead of the typical once a month) in a long-standing tradition, Morgan James will be closed from the end of business today (December 22nd) until January 2nd . With this silence from the publishing community, how can you be productive with your writing? 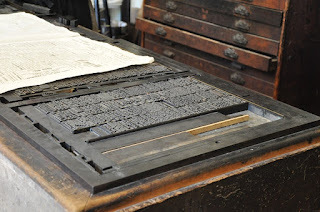 It is possible for you to be active during this silent period of publishing. About two weeks ago I had the opportunity to drive to Denver and do an in-studio radio interview about my book, Billy Graham, A Biography of America's Greatest Evangelist. Most of these types of interviews are 20 to 30 minutes and I “thought” that was what I was doing. As I settled into my place in the studio, they thanked me for co-hosting the program (which I learned was two hours). I loved the opportunity to talk for two hours about Billy Graham—even if unexpected. You can catch seven minutes of that time on this little video. Use this link to download it and watch. 1. Rework or update your website. It has been some time since I reworked my own website and I'm going to use this time to update some of my websites. 2. Work on building your platform and presence in the marketplace. 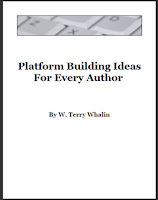 Use my Ebook, Platform Building Ideas for Every Writer on this topic or something else for some idea starters. Can you take some actions to increase your twitter followers or add to the number of people who are reading your newsletter? 3. Write a free ebook for a list generator. Can you take a series of blog posts or articles and turn them into a free ebook that you offer to your mailing list? Use this time to create such an ebook. 4. Create your own event in January. Your new ebook (#3) could be the ethical bribe that you use with this new event. Now is the time to be planning the details of such an event. 5. Read a book on marketing such as 5–Minute Book Marketing for Authors or Online Marketing for Busy Authors. Follow the links of those books because I wrote in detail about each of these books. When you read the book, apply some of the lessons to your books and writing. 6. Begin a new income stream. Writing has multiple paths and income possibilities. During this quiet time, select a path that you are not currently using such as affiliate marketing, then begin to develop a new income stream. I have a list of writing possibilities in the free sample of Jumpstart Your Publishing Dreams. Follow this link to get this free resource. You may not want to tackle all six of these ideas but hopefully several of them help you. Notice each of them are something you can do without a connection to an editor or agent. As a seventh way,I encourage you to polish or create a book proposal. Even if you are going to self publish, you will still need a proposal. The proposal is the blueprint for your book—especially if you are writing nonfiction. If you are writing fiction, you will still need this information for the platform and marketing section. A free resource to learn more insights about proposal creation is at: AskAboutProposals.com. I understand this time of year has many things pulling for your attention. It is a matter of commitment and focus to get these actions for your writing in motion. You can move forward with your writing even during the holidays. How do you keep your writing life going during the holidays? Or do you put it on hold for these weeks? Tell me in the comments. Terry, great tips on how to keep busy with your writing during the holidays. This works for any down time you may have. Yesterday, a car accident knocked out the internet in my area for several hours. I was able to work on my sequel to Walking Through Walls. Hi Terry, I enjoyed your article and as a writer struggling to find time to write, your ideas are motivating. I am taking them to heart as another way to enjoy the holidays! Thanks for the reminder. I love to be productive during the "down time" of the holidays and these tips can help anyone do that.